I just thought that I would keep you updated with the latest goings on. Last night I spent a beautiful evening with the lovely girls from Next at the incredibly chic restaurant, Shu. It’s located on the Lisburn Road and is one of the most renound establishments in Belfast. The intimate setting was perfect for an evening of fine dining, catching up and of course, talking all things Next. Myself and other press professionals were wined and dined and treated like royalty. The food was unbelievable and the company was hilarious. Perfect way to kick start the weekend if you ask me. Now. Back to the post. I’ve recently been opting for very Autumn appropriate looks. I love going back to basics and keeping things simple and relating to whichever season we are in. 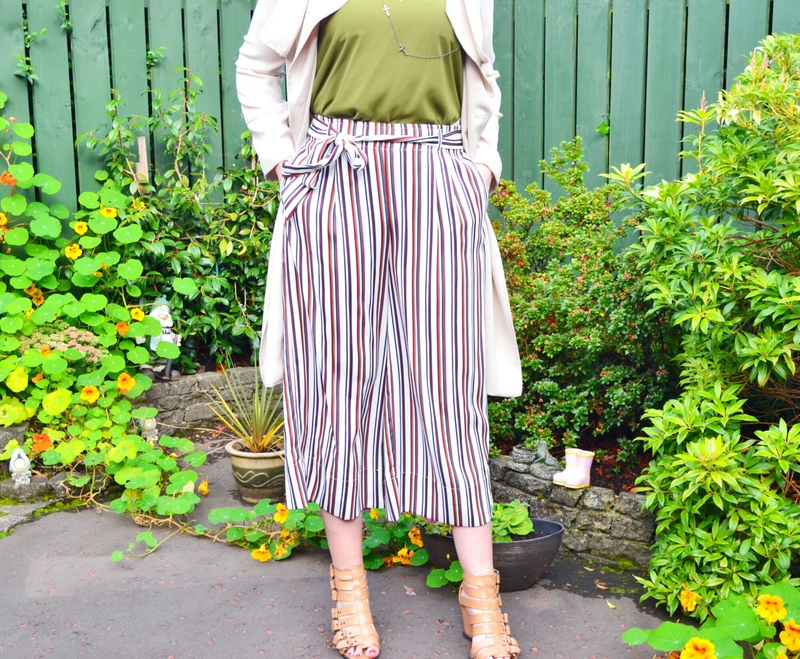 I was dying to wear my stripe culottes that I recently purchased along with my khaki green cami top and cream duster coat. I paired all of this with my trusty Carvela gladiator wedges as always. 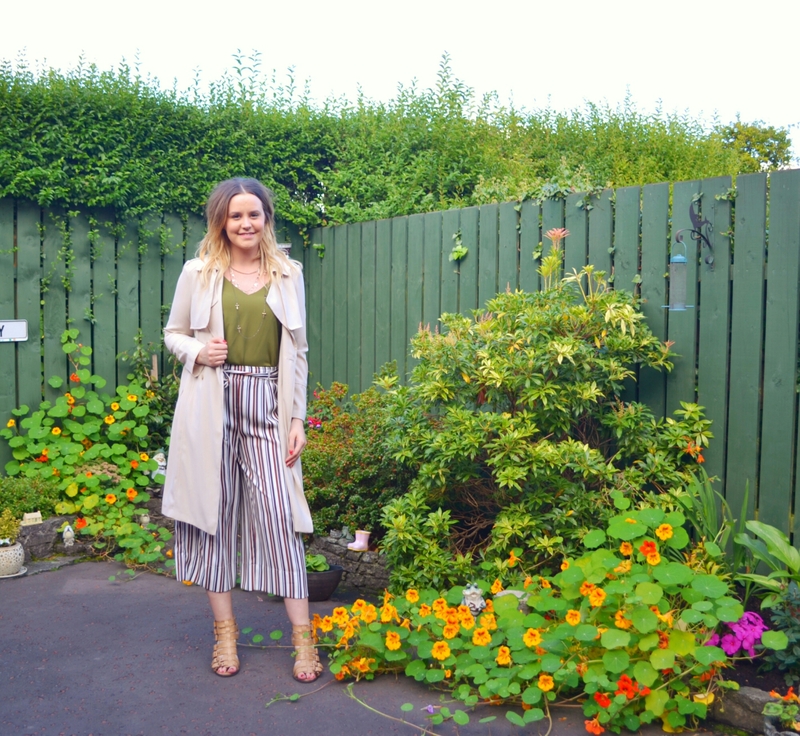 I’ve recently went back to a more chic and neutral palette when it comes to my outfits, I just love wearing a more simplistic look with various details combined. It was such a comfortable outfit to wear that required very little styling especially when it came to accessories. I don’t know about any of you but I have such a Friday feeling today! I’m so happy it’s the weekend, I just want to relax instead of going out. Maybe I’m getting old! Haha.